The big question trailing the recent round of successful Contemporary art auctions in London is whether Christie’s solo and shocking absence from the competition will diminish London’s luster as a critical, global sales hub. Because of Christie’s corporate decision announced in March to eliminate its June slot for staging Post-War and Contemporary Art in order to better focus on its sales there in October and March, the overall totals for June shrunk 33 percent over last year despite significant increases achieved by both Sotheby’s and Phillips. In fact, Phillips’s June 29 evening sale that tallied 624,3 million (including fees) was a whopping 105 percent higher than what it achieved in 2016 and Sotheby’s 662.4 million evening result easily trumped by 20 percent last June’s 652.2 million total. Distant player Bonhams posted a modest 67 million result, yet nicking the 66.7 million high estimate before fees and a whopping 189 percent improvement over last year’s auction That was thanks in part to the top lot Mark Bradford mixed media work, “Dream Deferral” from 2009 that hit 61,565,000. Still, Christie’s absence threw a statistical wet towel over the season, given that the firm’s 2016 evening sale was 639.5 million and further buttressed by a stand-alone “Defining British Art” auction the same week that included significant examples of Post-War art, led by Henry Moore’s “Reclining Figure: Festival” from 1951 that made a record 624.7 million and Francis Bacon’s cover lot “Version No.2 of Lying Figure with Hypodermic Syringe” that fetched 620.2 million. Still, even without a June auction in that category, Christie’s managed to squeak by Sotheby’s in terms of combined contemporary art sales in the first half of 2017 at $770 to $766.6 million. Number crunching aside, several experts weighed in on possible alternative reasons for the firm’s seemingly tough love decision to abandon June. It’s worth noting that in the recent London season, the most expensive contemporary lot was Jean-Michel Basquiat’s “Untitled” triptych from 1983 that made £6.4/$8.3 million (estimate £4-6 million) at Sotheby’s, just in front of the Andy Warhol cover lot, “Self-Portrait” from 1963-64 that hit £6/$7.7 million (est. £5-7 million). There were no works in sight by London School titans Francis Bacon or Lucian Freud and American brand name artists dominated the sales terrain, grabbing seven of the top ten lots at Sotheby’s, including Richard Prince’s “School Nurse” from 2005 in acrylic and inkjet print on canvas that sold for £4/$5.6 million (est. 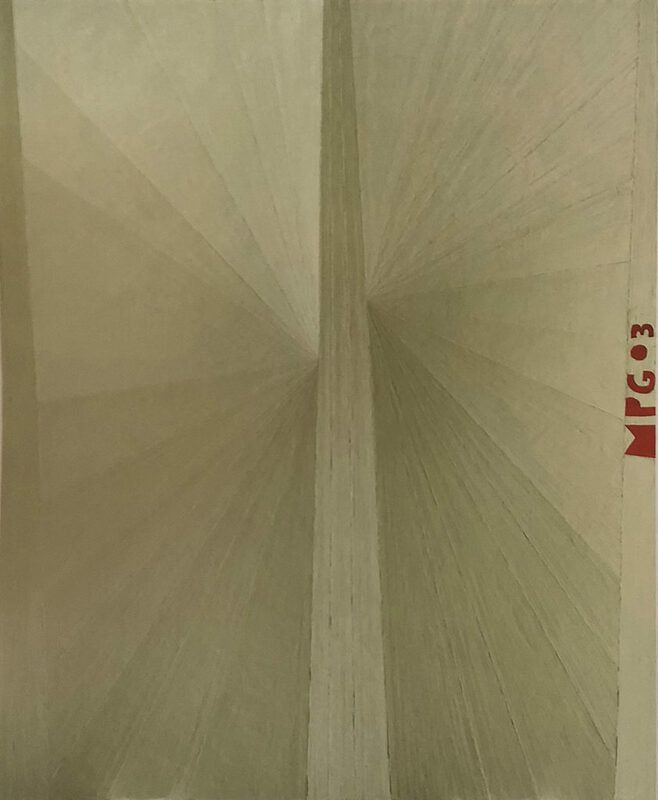 £3.5-4.5 million) and Mark Grotjahn’s “Untitled (White Butterfly MPG 03)” from 2003 in oil on linen that sold to a private Asian buyer for £3.9/$5 million (est. £3-4 million). Phillips, in turn, was the only house to offer a Peter Doig, the Scottish superstar, albeit, a small-scaled work at 15 by 12 inches, “Tunnel Painting (Country-rock)” from 2000 that brought an estimate-busting £1,157,000 (est. £500-700,000). It last sold at Sotheby’s London in June 2010 for £265,250. 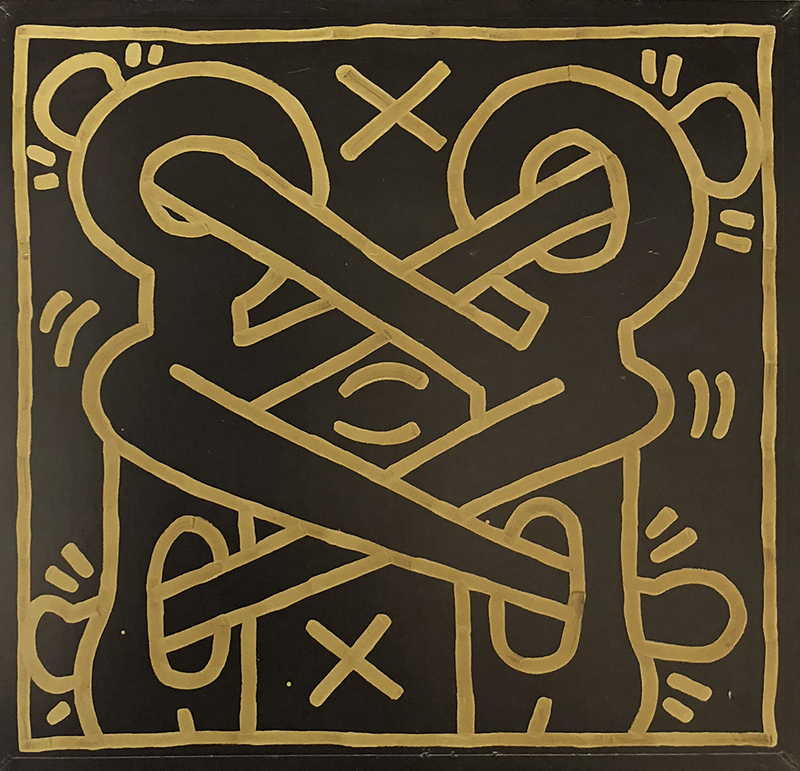 Phillips also had its American moment, with Keith Haring’s “Untitled” from 1984, depicting the artist and his sister Kirsten in an interlocking embrace and executed in metallic gold paint and black enamel on sheet metal that made £2.3/$3 million (est. £1.2-1.8 million). Last year, Christie’s cover lot, Gerhard Richter’s massive, 98 by 78 1/2 inch “Abstratkes Bild” from 1994 (unpublished estimate in the region of £14 million) was withdrawn at the 11th hour at the request of the consignor, perhaps a troublemaking sign of lack of confidence in the London market at that expected level. The evening also proved to be the firm’s lowest tally there for a Post-War/ Contemporary sale since 2009. Gauging the impact of Christie’s decision to quit June in Contemporary is still being sliced and diced by its competitors. This entry was posted in Auctions and tagged Alex Branczik, Andy Warhol, Bonhams, Christie’s, Francis Outred, James Holland-Hibbert, Jean-Michel Basquiat, Jean-Paul Engelen, Jussi Pylkkanen, Keith Haring, Phillip Hoffman, Phillips', Richard Prince. Bookmark the permalink.